A third of us have withdrawn our custom from a retailer due to cards being refused. Often this is due to the transaction being incorrectly flagged as fraudulent – the algorithms which make the call on whether a payment is valid erred on the side of caution, and sometimes get it wrong. 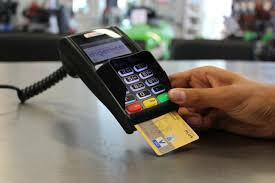 The cost to businesses of false declines is $118 billion – 13 times higher than the cost of actual card fraud. AI algorithms examine patterns in the transaction data. Predictive analytics powered by machine learning cut the rate that this happens by 50%. Aside from the inconvenience it causes us, the cost to businesses and the wider economy of these false declines is around $118 billion – an amount 13 times higher than the cost of actual card fraud. even the smartest machines making bad decisions.